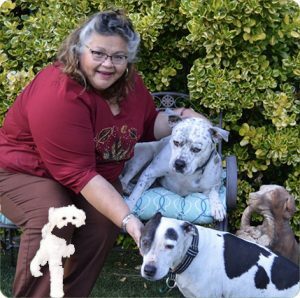 Pooch Sitters has been servicing several areas in California since 2003. All our Pooch Sitters are insured & bonded, pet first-aid certified; with excellent references. Beth V I used PoochSitters for two years and couldn’t have been more pleased. Susan was Gypsy’s dog walker and I was totally comfortable with her having a key to my house and taking care of my most prized possession. Gypsy loved Susan as much as she loves me (probably more but I won’t admit it). You won’t your dog a companion more dependable and loving than Susan. 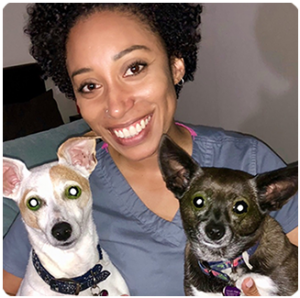 Eve M Poochsitters provides conscientious loving professional care for our pets, both cats and dog, when needed during our out of town trips, including walks for our dog and overnights. We are very glad they are available and use them regularly. Aelxia N I should start by saying my chihuahuas are like my kids and I usually just take them every where with me. For my honeymoon, I had to leave them at home. Pooch Sitters were recommended by Lovebugs Rescue, which is where I got one of my little Chis. 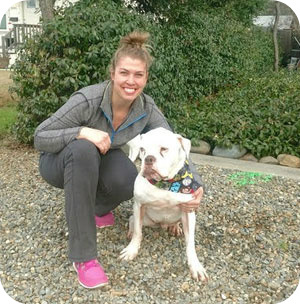 Click to read more..
Pooch Sitters were wonderful and even fit me in on very short notice. I had a great experience with Kathy and my pups seemed very content when I got home. I booked another trip to go out of town a couple months later and contacted them right away. I was thrilled that Kathy was available again. She is great and gives me updates throughout the weekend. Again on this trip, my pups seemed well taken care of and very content when I got home. Though of course they were glad to see their mommy. 🙂 I will definitely use Pooch Sitters again and have already recommended them to friends. Great, reliable, quality service! Thank you Pooch Sitters! Kim S Pooch Sitters immediately took care of our needs during the Thanksgiving holiday, within only a week’s notice. The dog walker came over to meet the dogs, no charge, and she walked with me & the 2 German Shepherd dogs for a half hour, talking about our dogs’ behavior. Click to read more..
By the end of our walk the dogs were loving Samantha. This was very special, as our female German Shepherd is shy with strangers. Our male German Shepherd loves all, but he is a powerhouse. Sam walked the dogs one at a time each day. This way they received a bit of training from Sam on how to walk with her and behave. She did GREAT! When we got home from NY, she came over to walk them again, even tho’ we were home. They could not wait to walk with her again. Thank you for your professional help and giving us the relief of going away without worrying. Joyce G We have used you twice, both for overnight care. I was very happy with the daily text updates and it was clear that the individual personalities of my babies were appreciated and their needs were met. Susan Y Angela was amazing. She is such an asset to this service. She provided me with daily text message updates on my 2 cats and even and photo!!! She made me feel completely at ease while on vacation because I knew that my cats and house were ok!! Love her and will look forward to working with her again!!! Margaret D My husband and I are extremely satisfied with our doggy walker, my two bassett hounds enjoy Monique and look forward to their walks on Tuesday’s/Thursday’s. With our busy schedule it is hard for us to walk them everyday. After walking she leaves a note in a journal to let us know how they are doing, which we look forward to reading. Yoko T Thanks again for being accommodating with dates/walks when my primary dog walking service was not available. As far as I can tell, Aki was well taken care of and enjoyed her walks. In fact, my neighbor asked about the service we use and gave them your information…..
Monika A I have been very happy with your services. You are very well organized and always get back to me right away with requests for sitting. Cindie visits my cat and she always lets me know ahead of time that she plans to see my cat (so that I don’t worry that Pet Sitters has forgotten) and gives me updates as to how my cat is doing.